Asja Nastasijevic is an Art Historian with the major in Modern Art, involved in art writing and criticism for several years now. Art is her passion and writing about it is both work and pleasure. 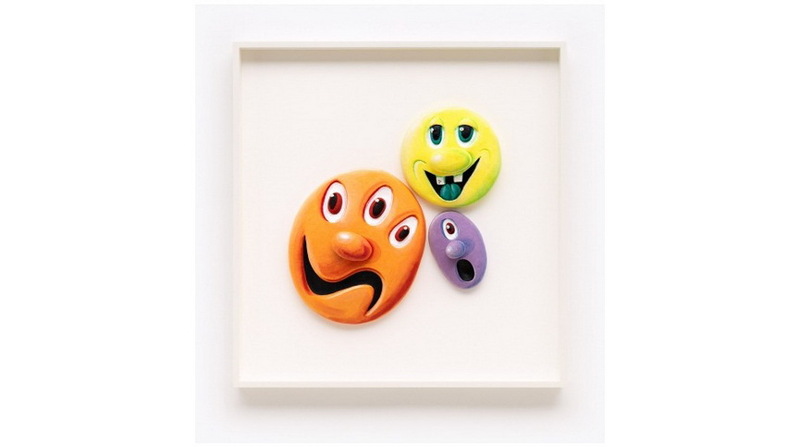 Pace Prints will exhibit new three-dimensional works in paper by the renowned pop artist Kenny Scharf. 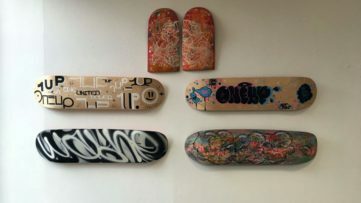 Titled plain and simple “Kenny Scharf”, the show will open on October 10, showcasing a series of energetic relief works in a more “hands-on” method. 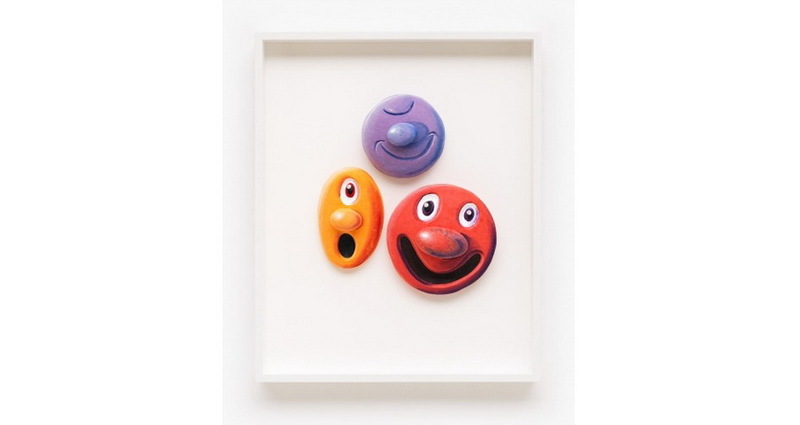 Each three-dimensional face has its own personality adorned with wild emotion and vivid color. Though Scharf’s brightly colored imagery is generally playful, serious themes exist beneath the surface, visible upon closer inspection. 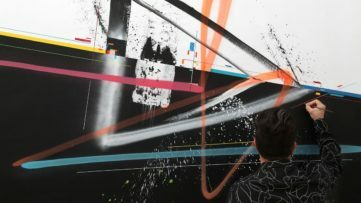 In his series of large unique works on paper, Scharf sourced 30 years of collected newspaper headlines and advertisements, creating a series of two-dimensional grounds with highly political content. Layering headline over headline, their individual connotations soften in multitude, markedly when paired with Scharf’s signature cartoon faces. 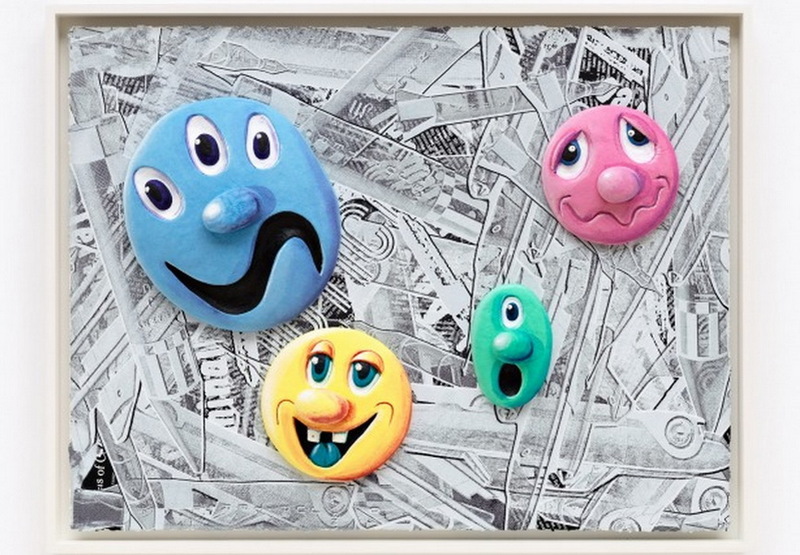 This cocktail of manic Pace Face personas and collaged items highlights the artist’s surrealist ideals. 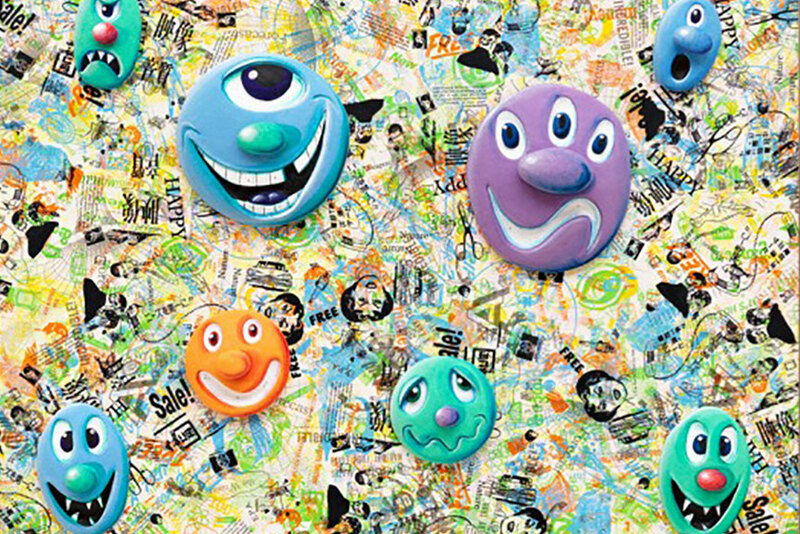 Kenny Scharf is a prolific artist who has worked in many traditional media, including painting, printmaking, drawing and sculpture. He rose to prominence alongside his contemporaries Jean-Michel Basquiat and Keith Haring in the East Village art scene of the 1980s. 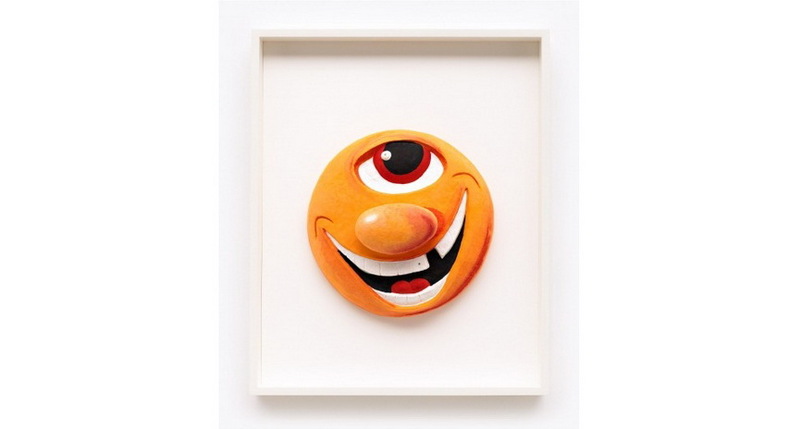 Scharf is considered as one of the artists who introduced imagery from the animated cartoons and pop culture into the fine arts. He calls his art Pop Surrealism. Being a true child of the television age, Scharf’s work is greatly influenced by cartoon characters such as The Flintstones and The Jetsons. 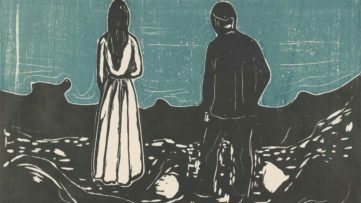 Through a kind of eclecticism, the famous artist attempts to discover how far he can push the line between high and low art. 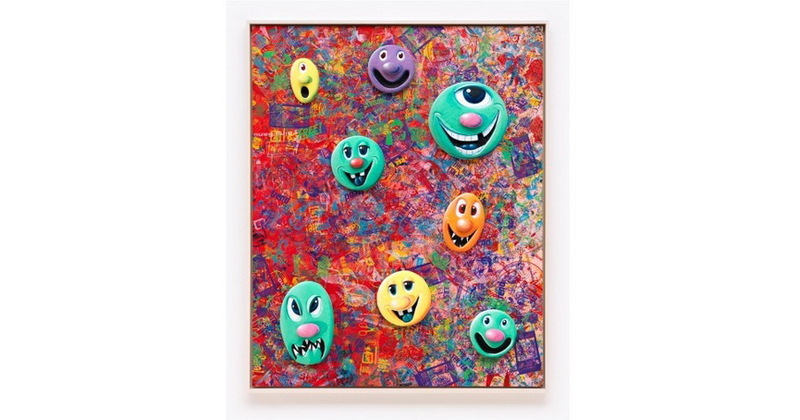 “Kenny Scharf” show will run until November 8 in one of Pace Prints’ NYC galleries at 521 West 26th Street.